Please join us for Opening Day 2017! Guests and first-timers are very welcome. Come learn to play and meet new friends! 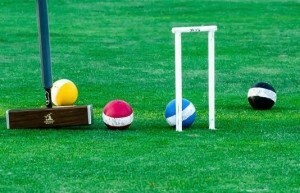 Everyone present on Opening Day, who has paid their dues, will be entered in a drawing to win a FREE membership (worth $35) to the US Croquet Association. The Lawn is located in Denver's Washington Park. Enter the park on the east side at South Franklin St & E Mississippi Ave. The Lawn will be visible on your left after crossing the first street in the park. Additional free parking is available at South High School at S Franklin Street & E Louisiana Ave.